Tin and Zinc are essential components of many alloys, but uses for these two elements extend beyond solders, die castings, galvanizing, and plating. Reagent grades of Zinc and Tin can be used in chemical analysis or other reactions. In organic chemistry, reagents are chemical ingredients (compounds or mixtures) introduced to cause a desired transformation of an organic substance. In analytical chemistry, a reagent is a compound or mixture used to detect the presence or absence of another substance. Chemicals that are advertised as ACS Reagent grade comply with the specifications found in the most recent edition of Reagent Chemicals, published by the American Chemical Society (ACS). The nonprofit ACS is the world’s largest scientific society and a leading source of authoritative scientific information. Currently, the ACS Reagent designation applies to 430 reagents, and each must meet all the specifications described in the reagent monograph to be sold under the label. 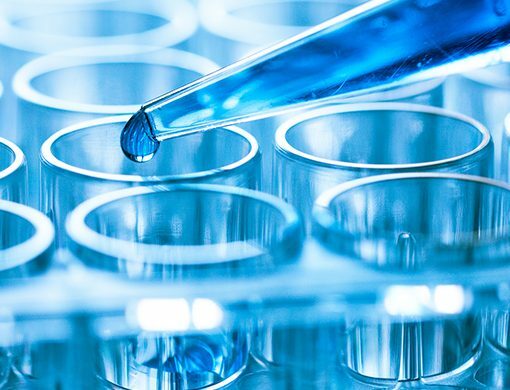 According to the ACS, its reagent specifications have become the de facto standards for the chemicals used in many high-purity applications, and organizations such as the United States Pharmacopeia and the U.S. Environmental Protection Agency specify ACS Reagent grade in their test procedures. Chemically, Tin is stable in both cold and boiling water and does not react rapidly with acids. On its own, it has relatively low toxicity, but many of the compounds created with tin are poisonous. Tin can be combined with chemicals such as sulfur, chlorine, and oxygen to create inorganic Tin compounds or paired with carbon to form organotin compounds, which, in addition to being used for a wide variety of industries from pesticides to paints, are used as reagents in the synthesis of natural products and other small molecules for drug discovery. Organometallic chemistry, a field of study that combines aspects of traditional organic and inorganic chemistry, focuses on metal-carbon parings—like organotin and organozinc. Organometallic compounds are used as catalysts, as well as in research and industrial chemical reactions to make practical products like polymers and pharmaceuticals. In addition to carbon parings, Zinc is an active element that dissolves in both acids and alkalis. It can be used as a catalyst in applications such as synthetic chemistry and organic synthesis. Zinc compounds have applications in the high-tech fields of material science and nanomaterials, but they also appear in everyday products, such as rubber, which relies on Zinc oxide for its elasticity. Statistics from the International Zinc Association indicate that Zinc chemicals account for about 10 percent of total Zinc consumption. Metals used as reagents or for other chemical applications come in a variety of grades and purities to fit specific requirements. Because ACS-grade reagents are one of the highest quality grades, their use in laboratory applications can ensure the integrity of the results. Belmont Metals, Brooklyn, New York, manufacturers ACS Reagent grades of Tin and Zinc, in addition to a broad range of pure Tin and Tin alloys for additions, alloying, casting, chemical plating, and soldering uses. The company also offers pure Zinc, in addition to special high-grade Zinc, and Zinc-based master alloys.